The Mexican culture is traditionally one that is full of colour, music and of course spicy food that is sure to get the guests dancing the whole night through. To create a Mexican themed wedding, why not first start with the wedding party attire? The bride can wear a Mexican style dress with a mantilla veil, or a ruffled, Flamenco style dress. A great idea to add some colour and spark to the wedding is to allow the bridesmaids to pick their own dresses, made in the traditional Mexican peasant style. These dresses are bright, colourful and embroidered with intricate designs that will add interest and fun to the wedding party. Think about giving your guests traditional fans as a Mexican style wedding is of course going to be hot, and you can also add maracas as part of your guest’s gift, so that they can be shaken to celebrate the bride and groom’s first dance. When deciding on décor, you should once again think bright colours and festivity. Try creating beautiful paper flowers and garlands – they are more affordable than real flowers, look just as beautiful and will last forever! You can string papel picado banners, a Mexican tradition, from the aisles of the church, the chairs of the venue or outside in the trees, depending on the location of your wedding ceremony and reception. Mexican weddings traditionally have wedding favours known as cascarones, or Fiesta Eggs, that are given to all the guests. These favors have a rich history attached to them and a good idea is to read up about the history of cascarones, and include this information in the box of favors. When choosing food for your Mexican themed wedding, the choice is endless and your guests are sure to be delighted with the strong, spicy flavours. Try to include foods ranging from only mildly spicy, to extremely hot, as not all of your guests may be fans of chilli. When choosing drinks, the traditional Margarita will keep the party pumping and the guests free of thirst, while also helping to cool down the occasion. 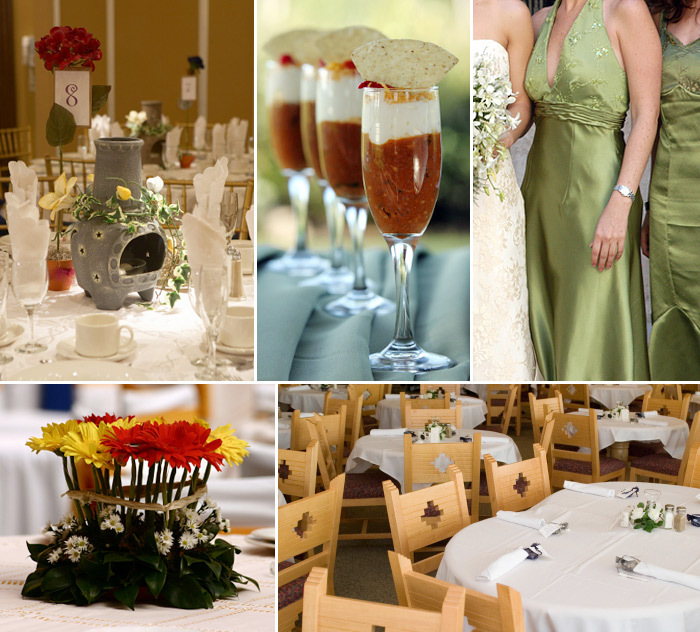 As you can see, creating a Mexican style themed wedding is easier than you may think. Include this theme into your wedding ceremony and you will be sure to have a fun-filled evening to remember.